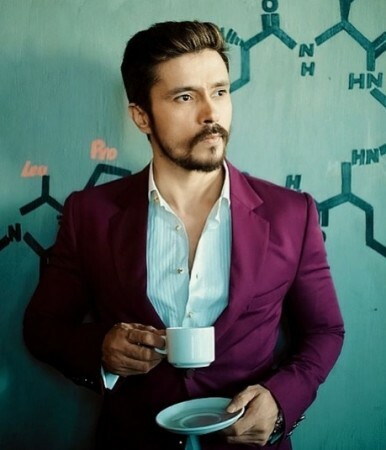 Actor Darshan Kumaar, who will now be seen as a journalist in the PM Narendra Modi biopic, talks to International Business Times, India, about the film. 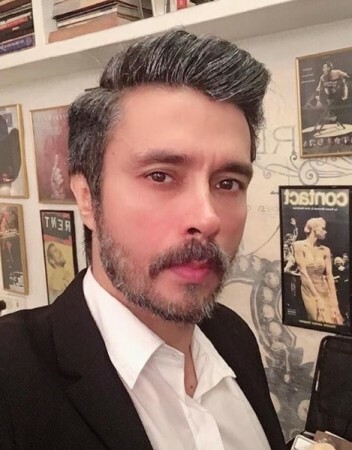 Actor Darshan Kumaar impressed people in movies like Mary Kom biopic opposite Priyanka Chopra, in Anushka Sharma production NH10 and in Aishwarya Rai Bachchan-Randeep Hooda film Sarbjit. 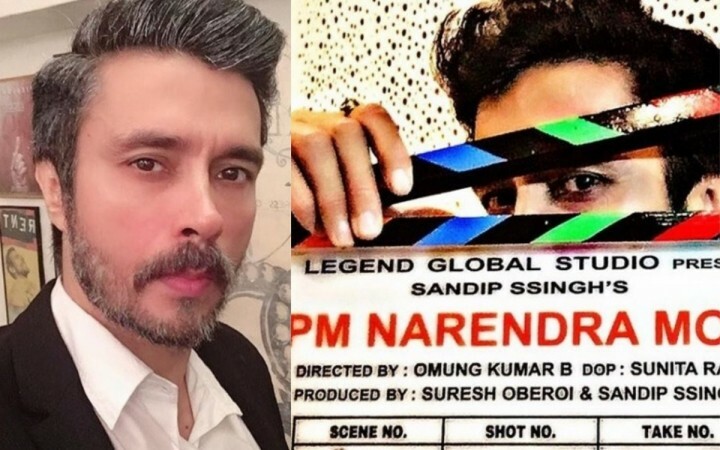 Kumaar, who will now be seen as a journalist in the PM Narendra Modi biopic, talks to International Business Times, India, about the film and his preparation for the role, his future in Bollywood and trying his luck in Hollywood. Darshan Kumaar says that he gets a new film offer every week. But he prefers to be choosy. Recently, Darshan Kumaar was seen in the Tiger Shroff-Disha Patani film Baaghi 2, in Sidharth Malhotra's A Gentleman, and as a lead in Mirza Juuliet with Piaa Bajpai and Priyanshu Chatterjee. He will also be seen in a web series called India Strikes - 10 Days, and would not mind even playing Congress president Rahul Gandhi in a film. These are indeed good times when acting talent of industry outsiders like Rajkummar Rao, Ayushmann Khurrana and Darshan Kumaar is being appreciated rather than a film family connection. Excerpts from a chat with Darshan Kumaar. How did you get the PM Narendra Modi film? How was it work with your Mary Kom director Omung Kumar again? Omung Kumar Sir called me for this film. He has approached me for all of his films post-Mary Kom. I couldn't do them because of date problems. Please talk about your role in the PM Narendra Modi film and how you prepared for it. I am playing a journalist in the film called Deepraj Desai who questions PM Modi. They have changed the name from the real one. To prepare for it, I watched around a thousand videos of journalists and read articles. I followed Rajdeep Sardesai (senior journalist) and tried to understand his mannerisms, why he asked certain questions and how he asked them. In the film, I ask Modi, "Abhi tak aapne Godhra ke liye maafi kyun nahin maangi?". (Why haven't you apologised for Godhra yet?) Just like how you guys (reporters) ask questions, and the thought process behind it. After Mary Kom, was it easier for you to get roles in Bollywood, or was it difficult? It was easier after Mary Kom. I was appreciated by the film critics, the audience and the film fraternity. Even in films that didn't do well, people appreciated my performance. Then I won many awards for NH10, and was liked for my role of a Pakistan lawyer in Sarbjit, as also in A Gentleman where people liked my look, and also Baaghi 2. Thanks to these kind of roles and films, I can choose my films nowadays. I am in that situation where people approach me for roles and send me the stories. I can pick and choose which role I want to do. So then in this scenario, what attracted you to a film based on the life of Prime Minister Narendra Modi? It's a very inspiring story. I loved the script because it shows that a common man can become the prime minister of a country. It's not an easy thing. When I read the script, I saw that PM Narendra Modi the man had faced many hurdles in his life, but he focussed on the big things and the nation. The film shows how he finally found or arrived at his destination. But it is being projected as a propaganda film by the Opposition. Any comments? It is not a propaganda film. Our focus as actors is to do different kinds of films and roles. If I get a chance to play Rahul Gandhi in a film, I will do so. My job as an actor is to find interesting characters to play - a politician, sportsperson or anybody. How was it working with Vivek Oberoi in the PM Narendra Modi film? He is a very hardworking actor. He didn't leave the set unless he had achieved what he wanted to. He was very focussed for this particular role. It was a big challenge for him to portray Mr PM Modi. When you work with good actors, you have a chance to enhance your skills. I had a great time with Vivek. How are you and the film's team dealing with the negativity around the PM Narendra Modi biopic ahead of the Lok Sabha Elections 2019? The film had been cleared for release and has now again been stalled by the Election Commission of India until the elections are over. It's a very difficult time for all of us. We recently got a clean chit from the Supreme Court of India. That was a big achievement. We have made an inspiring film for the audience and not propaganda. We were a little disturbed that it won't release at all, as some very powerful people are involved in opposing it. We have mixed emotions. Kuch toh log kahenge, logon ka kaam hai kehna. (People talk. Ignore them.) We can't focus on that that people are calling such films propaganda. We have to make our film. In the age of actors like Rajkummar Rao, Ayushmann Khurrana and you, has the industry been more welcoming or does nepotism rule? (Laughs on 'nepotism') It is not easy. The toughest part is to find a good script for yourself. I am getting films (offered) every week. I did one film as a lead called Mirza Juuliet, produced by Shemaroo. After that, I realised that I should focus on films or people who can take care of everything. Either it should be a big director or a producer who can present the film in a very good way. That's very important nowadays - how you present your film and how you take it to the audience. That's why I am taking a little time to do the lead roles. Do you fear being stereotyped? No, I have played all kinds of roles. If you see my films and my journey, I have been appreciated by audiences and critics. I am getting all kinds of roles. I am being selective and do very few films in a year to show my skills. So, you're not here just for the money, are you? Unlike some actors who want a big car and a big house. No, not at all. Money will come and go. I can do 10 films in a year but I do only one or two. I have big goals and want to be known as a versatile actor. Our Guruji says, "Aap Saraswati ji ki puja karenge toh Lakshmi apne aap aayengi." (If you worship Saraswati, the goddess of knowledge, Lakshmi, the goddess of wealth, will follow.) I focus on my work and if I achieve that, the money will follow. 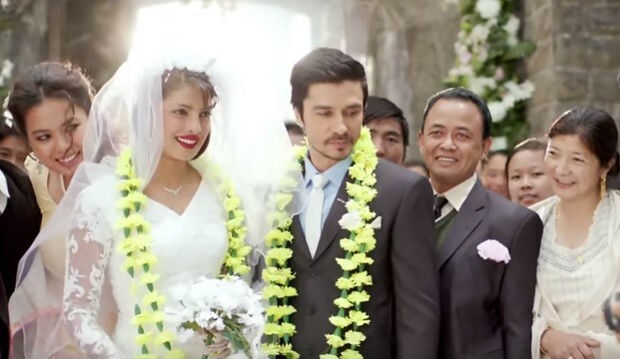 Any memories of working with Priyanka Chopra in Mary Kom? Many memories. OMG! She is a bundle of...she is the most hardworking actor I have ever met in my life. She was so helpful on the sets of Mary Kom, I don't have words for it. She was more concerned about me, how Darshan is playing this...let's do one more rehearsal. She used to encourage me and also appreciated my suggestions. On set, I never got the feeling that I was working with a superstar. I will always cherish those moments. Probably that's why Priyanka Chopra made it so big in Hollywood. Have you also got any offers from Hollywood or American television like her and many other Indian actors? Without hard work, without the passion and without this kind of vision (talking about Priyanka), you cannot be there, wherever you are. As for me, touchwood! Talks are on for a Hollywood project and I have just met a few people. Are you also doing web series in India or abroad? What is your opinion on the new medium that Bollywood superstars like Akshay Kumar, Saif Ali Khan, Shah Rukh Khan, Salman Khan and Abhishek Bachchan have also embraced? I have shot for one Netflix series that will come out in May or June 2019, and one Amazon Prime Video series, which will come out in September 2019. About the web streaming platform, I feel that films are like T20 cricket matches, while web series are like Test cricket matches. You get the chance to grow as an actor and to show your character in a good way. ALSO READ: Akshay Kumar, Shah Rukh Khan, Salman Khan and Anushka Sharma: 10 Bollywood stars in web originals. Any directors/actors you dream to work with? Yeah, there are many. I would like to work with director Rajkumar Hirani. My first film was produced by filmmaker Sanjay Leela Bhansali. It's my dream to work with him. Under his direction, I believe you can achieve anything. Then filmmakers Karan Johar and Anurag Kashyap. I love Sriram Raghavan. I couldn't do AndhaDhun where he had offered me the role of Tabu's boyfriend.